Comprehensive care focused around you for your best smile. 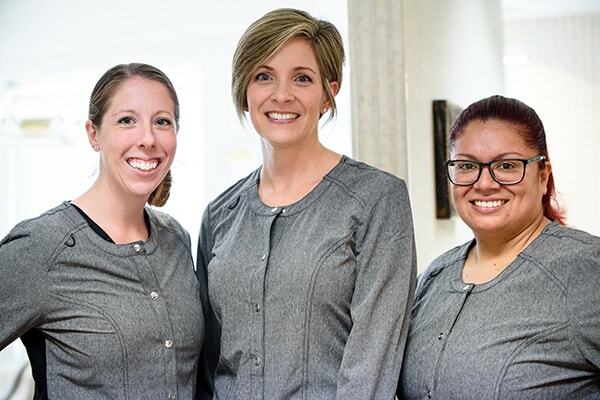 Our commitment to creating a lifelong relationship with you starts with our friendly personalities and continues with the modern dentistry we bring to Schaumburg, IL. At Benjamin Turnwald Dentistry, we take a comprehensive (or whole-health) approach to dentistry where we look at how your smile’s health affects the rest of your body. This starts by getting to know you and discussing your reason for visiting the dentist. Does it hurt to chew? Are you noticing signs of neglect? Based on your goals, you and Dr. Turnwald will create a personalized, lifetime plan, according to your needs. From there, we’ll use high-quality techniques to restore your smile’s foundation and function and then focus on the aesthetics. If you’re ready to turn your smile around and get out of pain, we invite to schedule a comprehensive exam with our Schaumburg dentist, Dr. Benjamin Turnwald. He promises to take great care of you. Benjamin Turnwald Dentistry is the only practice where I have felt comfortable. Dr. Turnwald has a calming demeanor and is a perfectionist. He can take care of your dental needs from simple maintenance all the way up to complete restoration. He explains what he is doing throughout the process. The office feels like a living room and there are windows in every room. Once you go there, you will become a permanent patient and not dread going to the dentist anymore. Select a photo to learn more. If you’re missing teeth, dental implants are an excellent (and the best) solution to restore your smile’s function and beauty. Why? Functions Like a Tooth: An implant consists of a post placed into the jawbone. This allows the post to fuse with the jaw, giving it the stability and function of a traditional tooth root. In turn, you’ll be able to chew, smile, and speak with confidence. 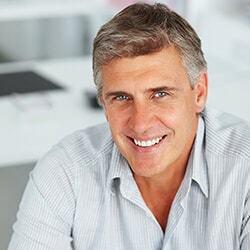 Stabilizes Dentures: No longer will you have to worry about slipping and sliding dentures. Implants are secure and will not move, allowing you to secure your dentures in place without the fear of your teeth slipping. Chew & Speak Confidently: Missing teeth and unstable dentures make it extremely difficult to chew and speak clearly. With implants, that’s no longer the case. Since dental implants are firmly placed in the jawbone, you can eat your favorite foods and speak without mumbling your words. Built to Last: Along with proper oral care, the materials used for implants are designed to last for a long time. Improved Appearance: Besides your smile being free from missing teeth, you’ll look amazing overall. When you’re missing teeth, the jaw begins to deteriorate, making the face look sunken and saggy. Implants halt the deterioration process and stabilize the jawbone. Working with a trusted surgeon, Dr. Turnwald will monitor the placement of your titanium post. Once healed, he’ll place the abutment and crown on top of the post to create a beautiful and functional dental implant. Would you like to get straight a smile without putting your life on hold? With Invisalign, it’s possible! Invisalign is an orthodontic treatment using clear and removable aligners to gently move teeth to their appropriate position. The best part? You don’t have to deal with the hassle of metal brackets and wires. Why are more than four million people choosing Invisalign? The aligners are removable, making it super easy for you to eat your favorite foods and brush and floss your teeth. Invisalign uses virtually invisible aligners, making treatment discreet. Hardly anyone will notice you’re doing treatment! You’ll start noticing a difference right away, and you’ll love the end results. Dr. Benjamin Turnwald is proud to offer Invisalign at his practice where he’s received the training to effectively use Invisalign to straighten your smile. Give us a call to see if this treatment is right for you! You’ve probably been thinking about making adjustments to your smile so it’s one you’re proud to show off. With cosmetic dentistry at Benjamin Turnwald Dentistry, we’re confident we can craft your smile into a work of art. Our smile artist, Dr. Turnwald, customizes every smile makeover to every patient, making it truly unique to the patient. Why? Because dentistry isn’t one size fits all! The process could range from small tweaks to a more complex plan (all depending on your needs), but you’ll love the end results. Visit our smile gallery to see the smiles we’ve designed, and then schedule a smile consultation with Dr. Turnwald. Are you waking up with headaches or a dry mouth or throat? Are you having a hard time keeping focus? Is snoring taking over and preventing you from getting a good night’s rest? If this is the case, we encourage to discuss your symptoms with Dr. Turnwald. We offer comfortable solutions to help combat sleep apnea and put snoring to rest. Contact us for more information.